Once a date of allotment has been specified in the allotment letter, it is mandatory for the builder to abide by it, ruled the National Consumer Disputes Redressal Commission in a recent order. Not mincing words, the country's apex consumer court has ordered that if a real estate company feels it is unable to offer possession of a flat within the stipulated time, the buyer cannot be made to wait indefinitely and is entitled to refund with interest. Once a date of allotment has been specified in the allotment letter, it is mandatory for the builder to abide by it, ruled the National Consumer Disputes Redressal Commission in a recent order. "This is a case of the opposite party (builder) not being in a position to offer possession of the apartment and the allottee cannot be expected to wait for possession of the apartment for an indefinite period", a bench headed by Justice Ajit Bharihoke said while ordering real estate giant Unitech Limited to refund nearly Rs 60 lakh to one Shalini Lanbah, who was not given possession of an apartment even eight years after the expiry of stipulated date. The stern ruling from the National Consumer Court comes when home buyers have moved the Supreme Court against builders like Jaypee, Amrapali, Supertech and Unitech for not handing over flats within the stated deadline. Slamming the builders, SC has ordered refund in many cases. Lanbah told the court that she was approached by a sales representative of Unitech in 2006 to purchase a residential apartment in 'Unitech Habitat' to be developed in Greater Noida. She was assured possession within three years. Lanbah told the court she was "lured by various promises" and applied for allotment of an apartment. The total consideration amount agreed between the parties was Rs 66,40,938 out of which she had paid Rs 59,78,355. "It stands proved that despite having received more than 90% of the consideration amount, the opposite party (builder) has failed to deliver possession of the apartment. In absence of any explanation for failure to comply with the stipulation of delivery of possession, we have no hesitation in concluding that the opposite party has committed deficiency in service as also has indulged in unfair trade practice", the court said. The court also noted that it was significant that Unitech opted not to file written statement (response to charges) despite service of notice of complaint and therefore the allegations of the complainants are deemed to have been admitted as correct". 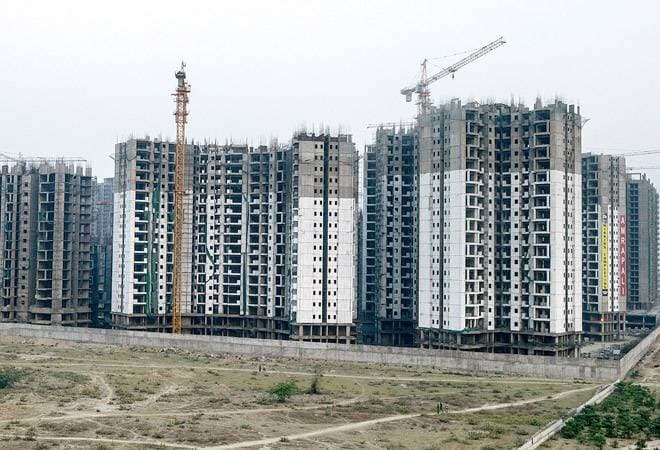 In its defence, Unitech said that the delay in completing the construction and delivering possession of the subject apartment to the complainant was unintentional and attributed it to "circumstances beyond our control". However, the apex consumer court was not very impressed with the stand of the real estate developer. Rejecting Unitech's argument, the court said: "The plea of the opposite party is not acceptable as despite having option to file written statement to explain its stand it has failed to do so and there is no evidence to substantiate their defence that the delay was on account of circumstances beyond its control".